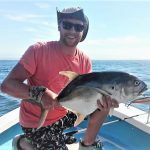 Costa Rica deserves its ongoing acclaim as the world’s number one billfishery. 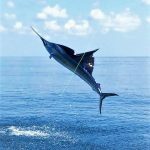 Its peak marlin and sailfish bites, especially off the Central Pacific coast, where boats out of Los Sueños Marina near Jacó and Pez Vela Marina in Quepos release billfish in record numbers on offshore charters, is unsurpassed. 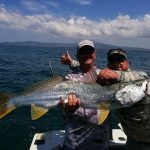 But there is another side of Costa Rica fishing that should not be overlooked. 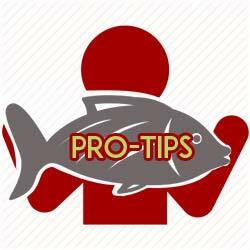 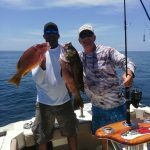 Inshore fishing on both the Pacific and Caribbean coasts is as good as it gets anywhere in the world. 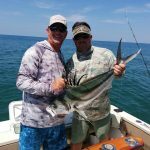 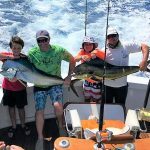 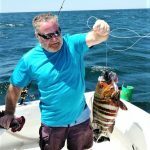 There are few other sport fishing destinations that, like on Costa Rica’s Pacific side, can offer roosterfish, more than a dozen snapper species, grouper, jack, pompano, shark, barracuda and big tripletail; and like on the Caribbean side – tarpon, snook, needlefish and jack, to name just a few. 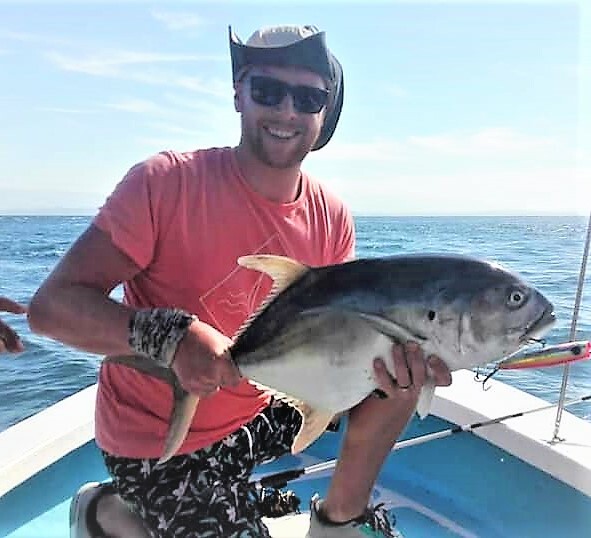 For instance, on a recent morning half day, anglers on the 26ft Fish Hunter out of Herradura Bay near Los Sueños Marina caught two roosterfish, a big corvina (sea bass), a rock snapper and a yellowtail snapper. 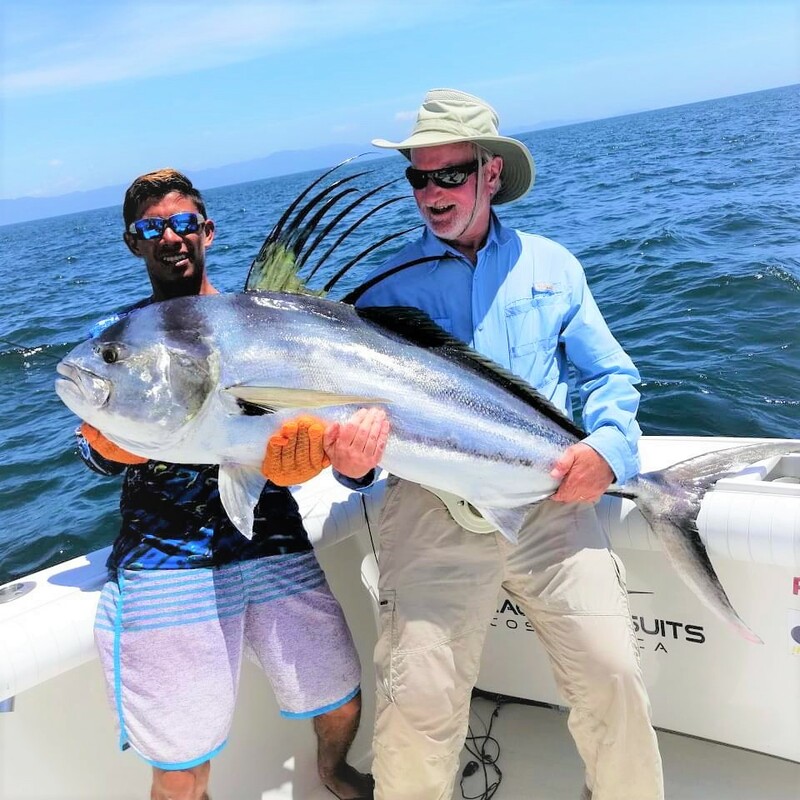 At Tambor at the tip of the Nicoya Peninsula leading to the Gulf of Nicoya, anglers with Captain Tavo Nuñez on the 30ft Miss-Laurel got several huge roosterfish and a big jack. 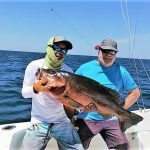 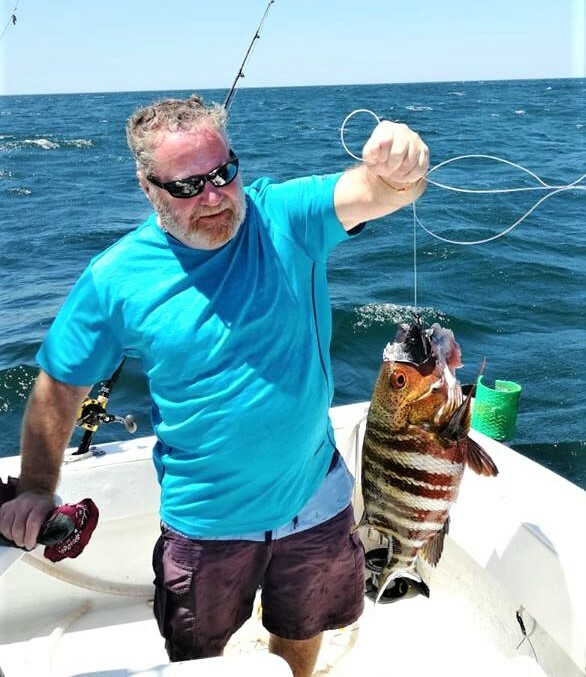 Anglers with Captain Arturo Rosales on the 27ft Outcast out of Tamarindo on Costa Rica’s North Pacific coast boated two big cubera snapper, one weighing 60lbs, the other 40lbs, and an attractive rock snapper. 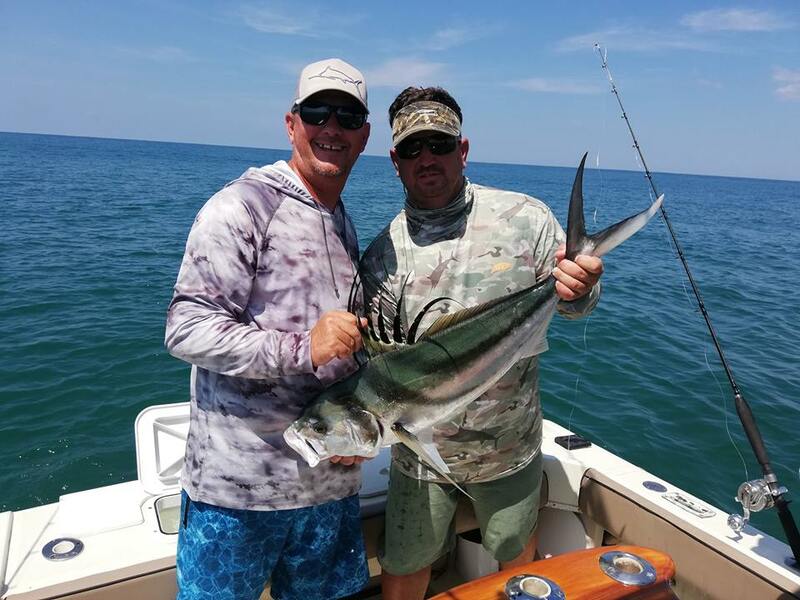 And finally, back at Los Sueños Marina, anglers on the 31ft Go Fish with Captain Randall Garcia released half a dozen nice roosterfish. 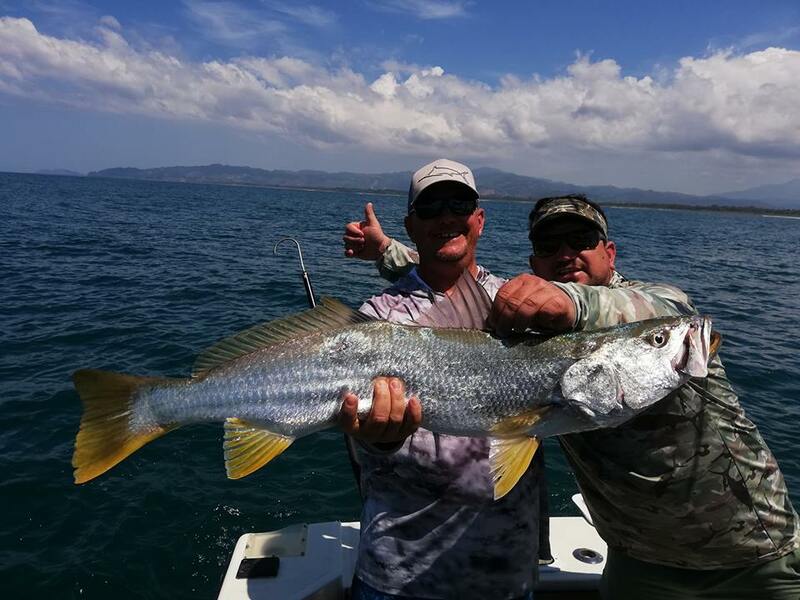 Contact us now to fish with Costa Rica’s top inshore guides. 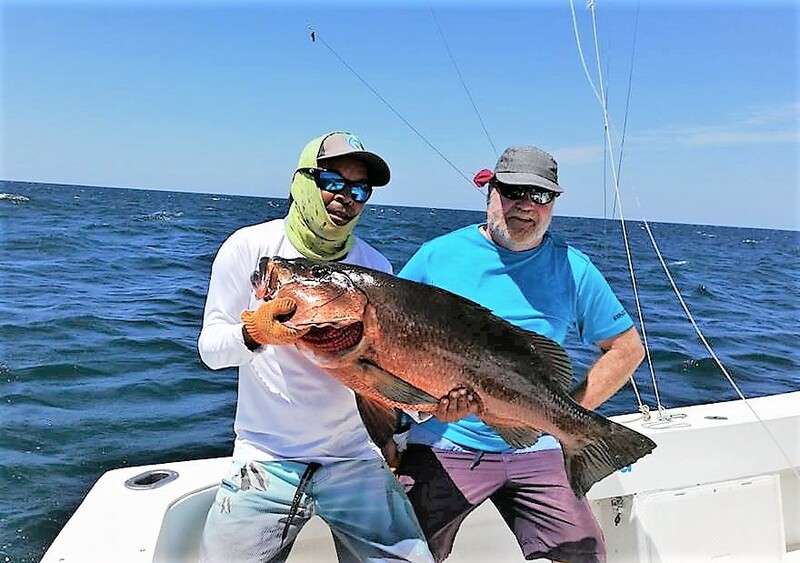 Inshore species might not be as big as the offshore giants, but you’ll have a whale of a time fishing on light tackle. 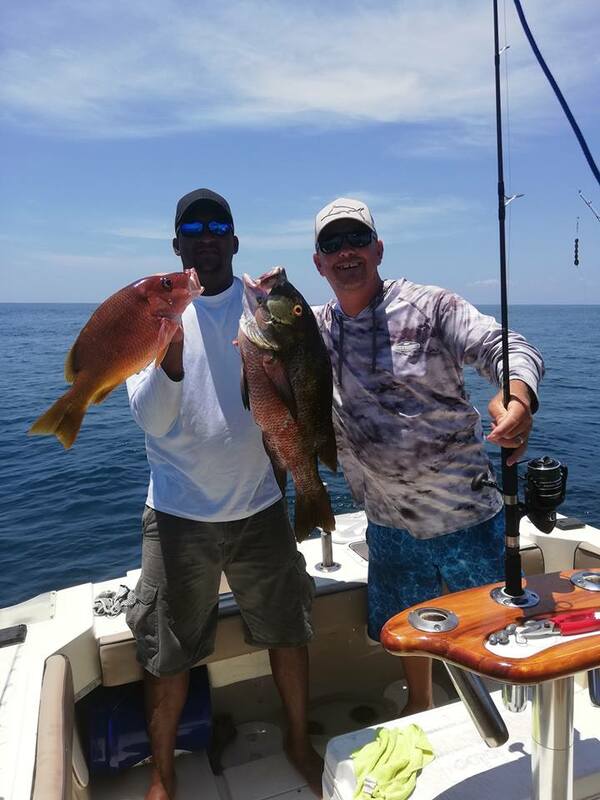 There are lots of fish and lots of species to catch, and the action is hot and heavy.